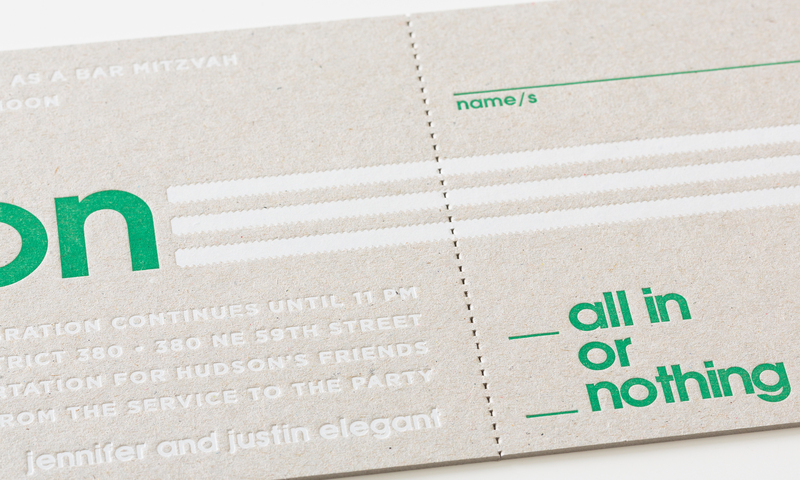 No need for a separate RSVP card, this sporty, perforated invitation has a tear-off card for guests to send back. 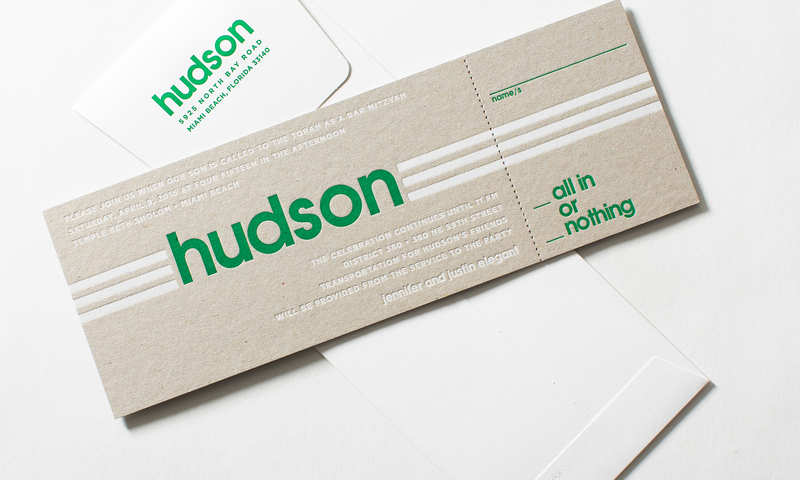 It is printed on thick, grey board with letterpress and foil stamping. The set mailed in a coordinating, heavyweight envelope and reply.